“We were surprised at its potential contribution to climate,” said Sarah Doherty, a University of Washington atmospheric scientist and one of four coordinating lead authors. The silver lining may be that controlling these emissions can deliver more immediate climate benefits than trying to control carbon dioxide, she said. The paper was made freely available online today (Jan. 15) in the Journal of Geophysical Research-Atmospheres. Some previous research had hinted that models were underestimating black-carbon emissions, Doherty said, from such things as open burning of forests, crops and grasslands, and from energy-related emissions in Southeast Asia and East Asia. Black carbon’s role in climate is complex. Dark particles in the air work to shade the Earth’s surface while warming the atmosphere. Black carbon that settles on the surface of snow and ice darkens the surface to absorb more sunlight and increase melting. Finally, soot particles influence cloud formation in ways that can have either a cooling or warming impact. The report surveyed past studies and included new research to quantify the sources of black carbon and better understand its overall effect on the climate. 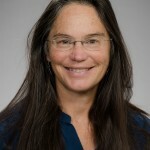 Doherty was executive director of the International Global Atmospheric Chemistry Projectin 2009 when policy groups were seeking better information on the benefits of reducing black-carbon emissions. The research team undertook a comprehensive assessment, funded by IGAC and the U.S. National Oceanic and Atmospheric Administration. 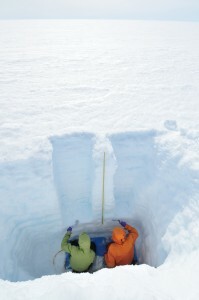 The report incorporates data that Doherty, a member of the UW’s Joint Institute for the Study of the Atmosphere and Ocean, and co-author Stephen Warren, a UW professor of atmospheric sciences, gathered between 2007 and 2009 to measure soot on Arctic snow. Calculating black carbon deposits in the Arctic is difficult, so data are essential for testing and correcting models. First author Tami Bond, now at the University of Illinois, earned a doctoral degree at the UW in 2000 that combined engineering, chemistry and atmospheric science to measure emissions from burning that have atmospheric importance. “Mitigating black carbon is good for curbing short-term climate change, but to really solve the long-term climate problem, carbon dioxide emissions must also be reduced,” Bond said in a press release. In related research, Doherty, Warren and UW graduate student Cheng Dang will travel next month to Colorado, Wyoming, the Dakotas, Saskatchewan, Manitoba and elsewhere to collect snow samples and investigate black carbon’s effects on North America’s Great Plains. For more information, contact Doherty at 206-543-6674 or sarahd@atmos.washington.edu.